Your animals deserve compassionate veterinary care. "Treat your kids to visit Pet Vet Hospital and Wellness Center & see for yourself what a purely positive experience awaits you & your fur-babies." "Look no further, you've found the best care for your animals!!!" "Thank you so much for all the love and care you gave to my Shermy. It was so comforting to know he was taken care of by such loving people." "Thank you for all the care and concern you gave to me and my companion, Cookie. I will recommend you to anyone, your services, who need a Vet." "Everyone that works at Pet Vet is amazing and loving and kind. Best vet office ever." "I trust Dr Clark and his staff to take care of my 4 legged kids! They are professional and compassionate." Spring Bulbs: Azalea, Bluebells, Buttercups, Daffodils, Tulips are just a few that can be poisonous to dogs. Fertilizers and Herbicides: Carefully follow all manufacturers recommendations. Onions, garlic, chives, and leeks: —as well as other members of the allium family—are toxic to dogs and cats. Our goal continues to “Add years to your pet’s life and life to your pet’s years” as cost effective for you and pain free for your pet. Care Credit may also be an option for your budget. Click the calculator below to see if it works for you. Pet Vet Hospital and Wellness Center has the latest in ultrasound technology, therapeutic laser therapy, advanced dentistry such as root canals, oral digital radiography, highly educated and experienced staff members with a unique approach to keeping healthy pets healthy. Therapeutic laser therapy is a way to deliver drug-free, pain-free relief of inflammation and pain, reduces swelling, stimulates nerve regeneration and cells involved in tissue repair. Root Canal therapy offers a viable option to tooth extraction. Oral digital radiography allows our Doctors to make comprehensive oral evaluations. Dr. Clark and Dr. Schulken blend their skills to offer experience along with the most up to date knowledge. Our clinical support staff members or either Licensed Veterinary Technicians, Licensed Medical Clerks or have a Bachelor's degree. We take pride in the quality of our caring, competent team members. 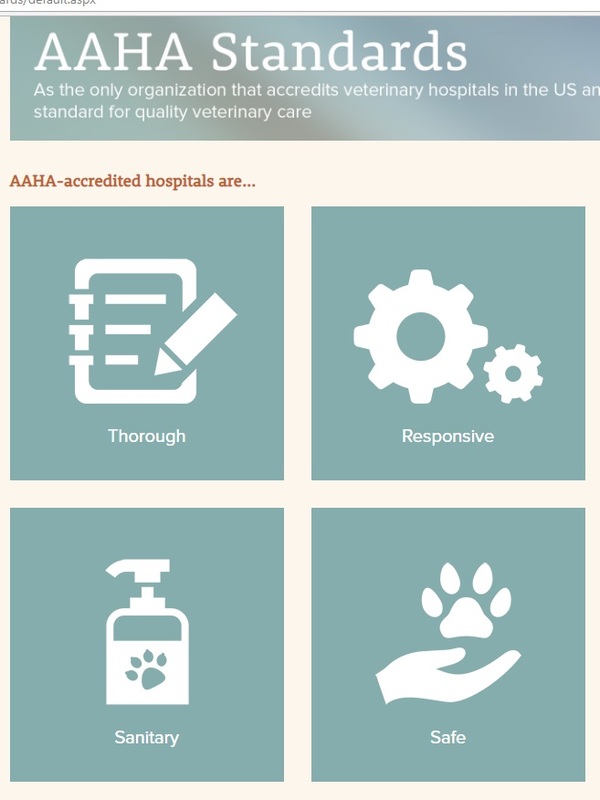 YOUR PET IS SPECIAL - SO IS OUR CARE! Dr. Clark attended BYU Idaho (Ricks College) and later received a Bachelor of Sciences in Microbiology from the University of Idaho. He received his Doctor of Veterinary Medicine from Washington State University. He has a special interest in advanced dentistry and is a member of the American Veterinary Dental Society. His dad, Chad Clark, DVM was his role model. It was working with his Veterinarian father that he learned to serve others and care for animals. After graduation he worked with his father doing mixed animals (large and small) for 8 years. Veterinary medicine was advancing so quickly that he decided to limit his focus to strictly companion animals (cats and dogs). This has given him the opportunity to provide the level of care he knows is available. 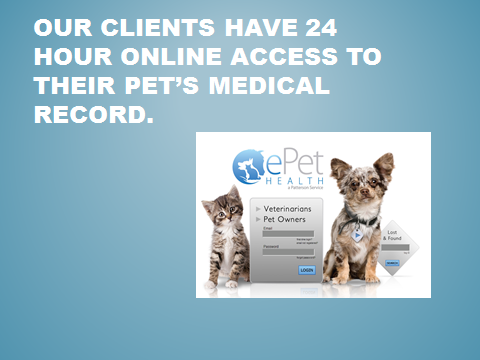 His primary objective is to add years to your pet's life and life to your pet's years. He truly believes in keeping healthy pets healthy. He is very active in the community. In 2007, he was first elected as a member of the Board of Directors for Central Valley School District where he continues to serve. The Spokane Valley has the rural values he grew up with along with a progressive outlook. He is very proud to be a member of this community. Shelly has worked with her husband, Dr. Keith Clark, in the Veterinary Profession for the past 30 years. She is our Practice Manager and also a Licensed Veterinary Medical Clerk. She belongs to the Inland Empire Veterinary Managers Group and is involved with numerous non-profit community organizations in the Spokane Valley. She was raised with a menagerie of pets including; squirrel monkeys, pigeons, horses, cows, chickens, rabbits, goats, snakes, mice, hamsters and of course cats and dogs. It was natural to marry a man who loved animals too. The Clark’s are the proud parents of 7 children and 2 grandchildren. Between attending music, drama and sporting events with her kids, community service and the Pet Vet, she has been blessed to know many of the families and individuals in our area. Understanding the important role pets play in the lives of their family members makes her love what she does for work. She considers herself fortunate to live in the Spokane Valley. Dr. Schulken graduated from Central Valley High School in 2001 and received an Associate's Degree from Spokane Falls Community College. This was followed by a Bachelor of Science Degree (Major in Biology, minor in chemistery) from Eastern Washington University. In 2013, she was recruited away from Petco to start work with us at the Pet Vet Hospital and Wellness Center as a veterinary assistant.. Shortly after joining our team, she applied for and was accepted to Oregon State University College of Veterinary Medicine. While attending Vet School she continued to work at the Pet Vet Hospital and Wellness Center during the summer and holiday breaks. In 2018, She graduated toward the top of her class with her Doctorate of Veterinary Medicine Degree and has joined the Pet Vet Hospital and Wellness Center as a full time Associate Veterinarian. She is the proud pet parent of 5 cats, 2 dogs and numerous reptiles. In her spare time, she enjoys reading, camping and bowling. We are so excited to have her as part of our team. Ragan is a Licensed Veterinary Technician who joined the Pet Vet Team in 2001. Ragan graduated from WSU with a Bachelor of Animal Science degree in heard health and animal nutrition. She worked for ADM (Archer Daniel Midland) as part of their animal food services division. Before college she attended Freeman High School and is very familiar with many of the original Spokane Valley families. She grew up in a rural setting and has vast experience with animals. Working with animals is second nature to Ragan as she has always been surrounded by pets both large and small. Ragan’s favorite area of Veterinary medicine is nutrition and dentistry. She can answer your questions regarding pet nutrition and a whole array of pet related issues. Her education, experience and expertise allow her to provide the highest quality of competent care for your pet. When not at the clinic Ragan can be found working at her own little farm with her husband Riley tending to her chickens, ducks and horses with the help of her Border Collie Sam. Sam also likes to tattle on Ragan’s cats when they are doing something they shouldn’t be doing. MaryAnn received a bachelor degree from Eastern Washington University. She joined our team in 2014 having already worked in small animal medicine. Most recently, she worked for a corporation which manufactured and retailed animal feed and supplies. If you have any experience with 4-H you probably already know MaryAnn. She has been a leader in the Spokane County 4-H program for many years. She was raised on a farm and continues to live in a rural area where she owns a cat, dogs, cows, goats, horses, chickens and ducks. MaryAnn understands the importance of the human-animal bond and will do everything possible to enhance that relationship. She has spent a life time caring for the welfare of animals. Krystal joined our team in 2017. Already an experienced veterinary assistant, she has worked for large and small animal general practices as well as board certified specialist and is a Licensed Veterinary Medical Clerk. Her special interest is enhancing the human animal bond and loves to be an animal advocate. She does this by regularly participating in continuing education programs and passing that knowledge on to others. Krystal is in charge of all areas of outpatient nursing and client education. Our team also relies on her to keep our clinic cat “Smash” well groomed and properly cared for. Growing up locally, she regularly showed horses in 4-H and open shows. In Krystal’s spare time you can find her being a mom to her beautiful daughter and hanging out with her Rottweiler Rocki, cats Knubby and Jackson, or out at the barn with her horses. Krystal has been a wonderful addition to our team with her experience and knowledge. Tiffany is a Licensed Veterinary Technician in both Washington and Oregon and has over 16 years of veterinary experience. She is also certified to provide high powered Laser Therapy. Her experience is vast and varied, working with large, small and exotic animals in both specialty and general practices. Tiffany has performed ultrasounds with a Board Certified Radiology specialty practice as well as EKG’s and other diagnostic procedures. A lifetime love of animals allows her to provide compassionate care naturally. Out of the office she spends time working with her horses. She is a competitive barrel racer and enjoys all aspects of the equine world. Besides the horses, she has 2 cats and 2 dogs that demand her time and attention. Tiffany understands the important relationship between people, animals and their environment. She has dedicated her life to improving the lives of the people and pets she encounters on a daily basis. Smash is our hospitality kitty. Persian mix that joined the Pet Vet's team in February of 2014. She is often found playing in the plant in the lobby and napping in the office chairs. Smash has a wonderful way with clients and is particularly fond of other kitty visitors. She brings an unwavering confidence when faced with large dogs and an aptitude for snuggles.